Following a tough workout, do you feel exhausted and lethargic in the subsequent couple hours? 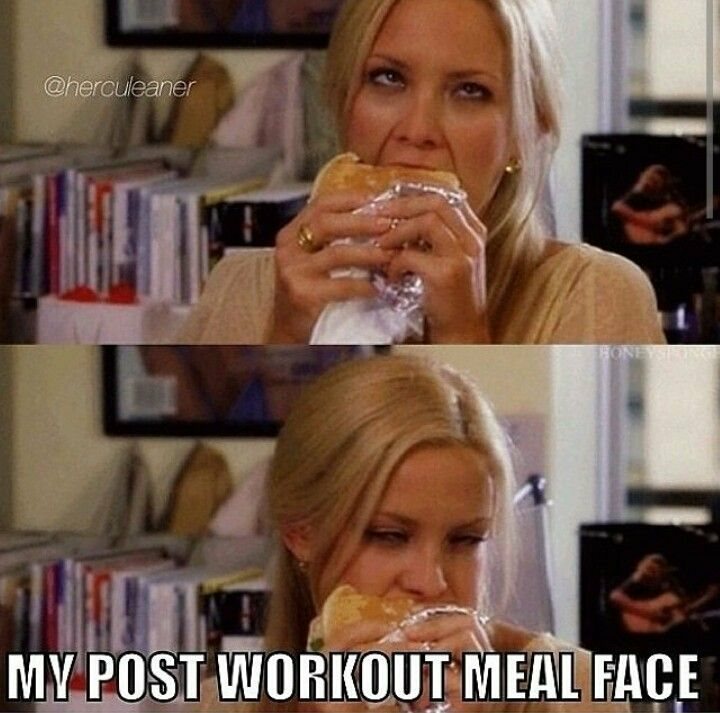 If so, you should consider paying more attention to your post-workout nutrition. During rigorous exercise, your muscles utilize glycogen stored within the muscle tissue and liver as fuel. Once the workout is done, your body needs to replenish that spent glycogen. After the workout is the time to feed the beast. There are times when your body lies to you about being hungry; this is not one of them. What you’re looking for in a post-workout meal is carbohydrates and protein, with little to no fat. Carbohydrates help replenish your muscles with the energy they expended, while protein provides the building blocks to repair damages to the muscles. Good sources of carbohydrates are: fruit (like bananas), potatoes, white rice, Gatorade, etc. While not optimal, yes…even donuts or pancakes would work. Good sources of protein are whey protein powders, chicken breast, deli meats, etc. Protein powders are the most cost-efficient, convenient to bring with you, and easiest to ingest and digest for most people, as they are in shake form. While there isn’t a magic number of carbs and protein to eat after your workout, there are some guidelines to follow. I would suggest you stay within the 1:1 to 3:1 carbs to protein ratio for post-workout. The amount necessary depends on: (1) duration and intensity of the workout, (2) your nutrition throughout the day and (3) your carbohydrate sensitivity. Try having a banana or two with your protein shake after your next workout, and see how you feel. Remember, the amount of fuel you need to replenish your body depends on how much work you did. Doing a long, hero WOD…try a 3:1 ratio. Doing short, intense intervals…try a 1.5-2:1 ratio. In general, I stick close to 2:1 but that’s what I prefer based on my variables. I didn’t feel satiated when I tried 1:1; when I tried 3:1, I would fall asleep about an hour after from consuming too many carbs at once. By ingesting carbohydrates and protein following your workouts, your body will begin the recovery process sooner and you won’t feel as drained. Experiment with different ratios of carbs to protein to find what you prefer and note how you feel. Whatever you do, make sure you earn your carbs!